Are You Forgetting Diwali Décor Amidst The Chaos Of Festive Preparation? - Bold Outline : India's leading Online Lifestyle, Fashion & Travel Magazine. Are You Forgetting Diwali Décor Amidst The Chaos Of Festive Preparation? You must have got down with the regular one-month prior ritual of cleaning, painting, re-touching and giving the house a makeover, adding to it the Diwali shopping lists of the perfect attire for the Diwali-bash to the perfect ingredients for the sweets and delicacies. And then amidst so much of chaos if you get the time you decide some Diwali-day décor items, but what if at the last moment you realize that the décor for the man-day is not very ‘hatke’? Worry not, here are some of the innovative ideas you need to get down with to enlighten the festival of lights. Diwali is incomplete without diyas, but you don’t have to put out those age-old brown-red plain diyas. Pep it up, get your paint brush, glitter and craft the diyas with some colourful designs. 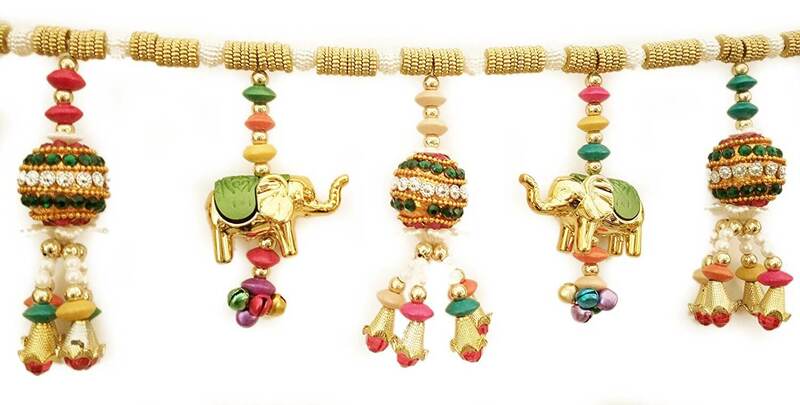 You can also use different stones, beads and mirror work and give your diyas extra glow. 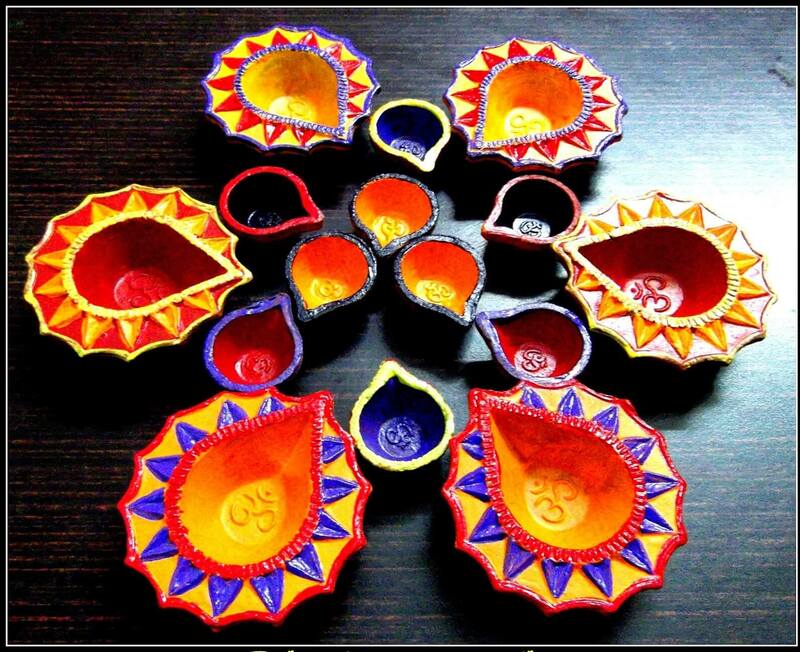 Light up the house with different shapes and sizes of diyas with end number of colours and designs on them. Mini lampshades look really cute when placed on your dining tables or as mantle pieces. You need vellum paper or printed sheets, wine glasses, glue & scissor. Make a lampshade out of paper by folding it. Fix the lampshade on the wine glass. Place the candle in it & lighten your dining environment. Also, you can keep the wine glass upside down and put the candles on them. You can even place the flower or flower petals or ping pong balls in the wine glass. a colourful Diwali toran hanging at the entrance door looks elegant and is perfect to give a warm welcome to all your guests. Ditch the old-style toran made out of mango leaves and marigold flowers, which will eventually die out and will look opposite attractive. So instead handmade crafts like old greeting cards, paint samples or cut out paper flowers with glittery papers and add up some hanging beads if you like. the traditional paper lanterns are pretty beautiful to look at but let’s get your lantern-game a notch higher. 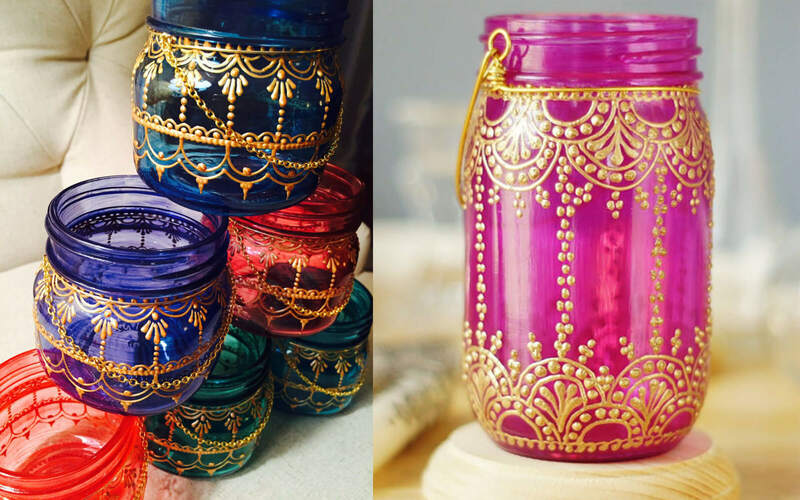 It is time to grab your old glass jars and transform them into magical lanterns spreading festive warmth. Add colours to the jar with spraying paint; you can also put in some glitter inside the jars. You can also pain just the top and bottom of the jar with golden paint or craft paper and place a candle or LED lights inside and voila! Your exclusive lantern is ready to bask in glory on the entrance of your home. 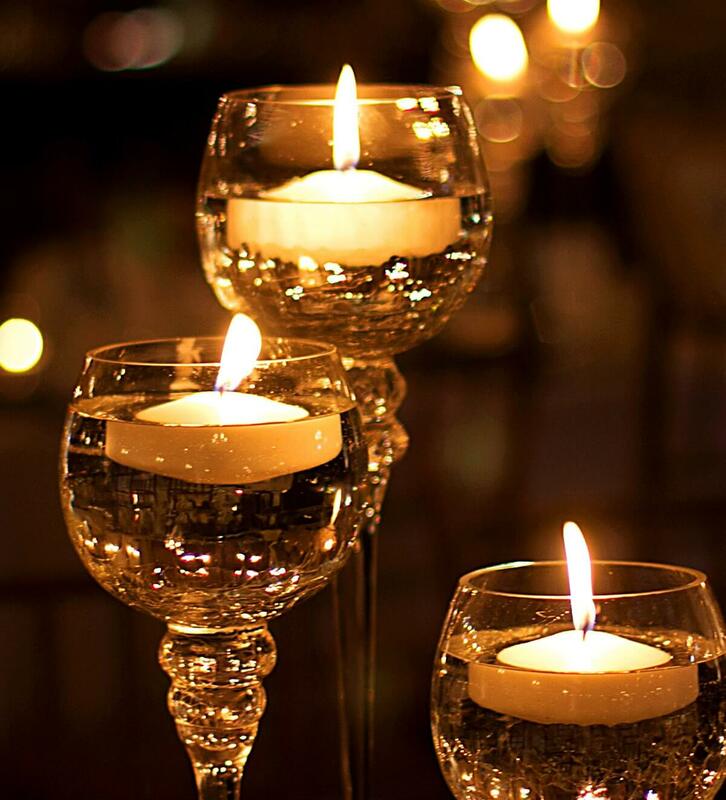 candles are the next best thing to diyas in Diwali are a must in every house, the boring white candles can be filled with life with simple tricks. 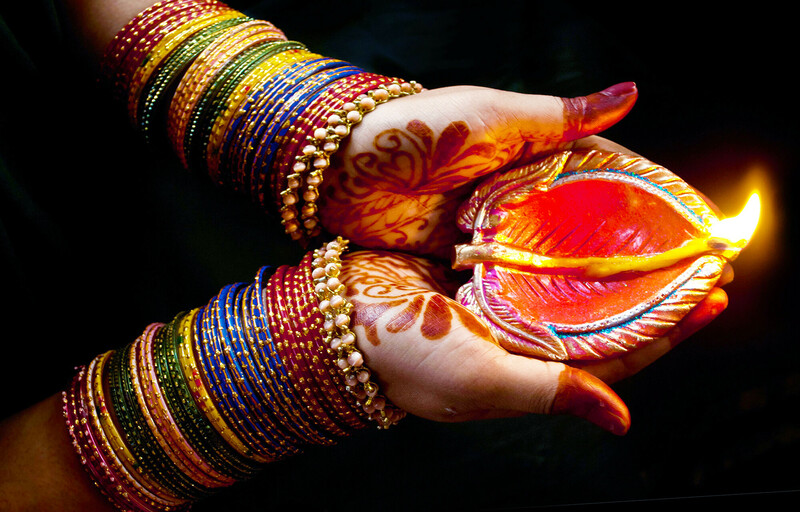 Henna is considered to be an auspicious thing, so why not put some henna designs on the candle and make it a lit affair? 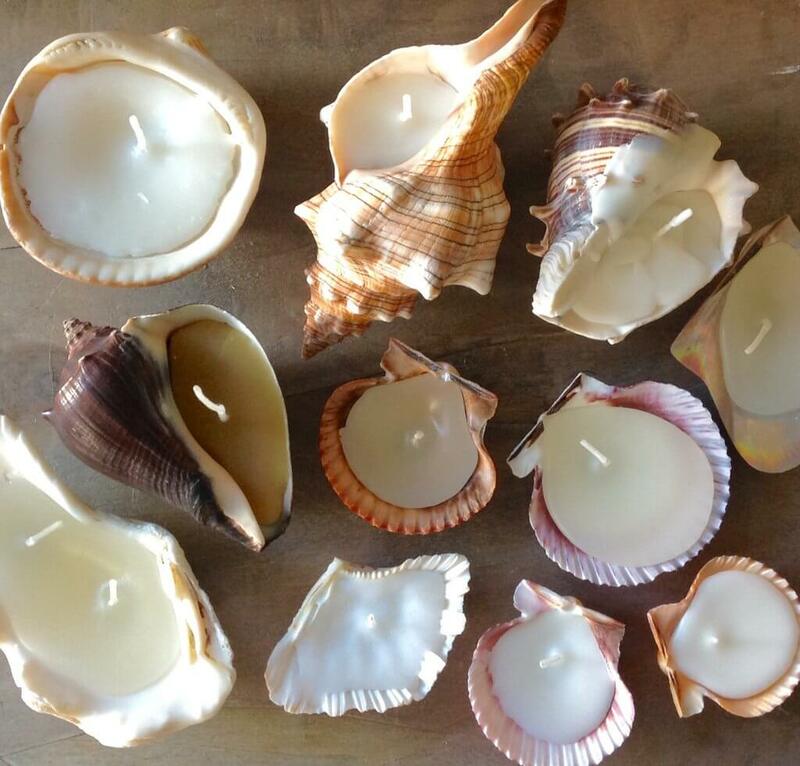 Also, if you happen to have collected some sea shells then it’s time to pull them out, add some colour with fabric paints on them and fill some melted wax and a wick and there you have creativity glowing in the house.